Seven years ago I took advantage of a free flight I had on Southwest Airlines and took an evening flight to Orlando, Florida. I checked into a cheap hotel on the outskirts of town, slept for a few hours and then got up at 3am to drive to Titusville. Once there I walked about midway across a bridge where I then sat and waited for five hours. I did this because ever since I was a boy I had wanted to experience the launch of a Space Shuttle. At 8:46 on May 16 of 2011 I was finally able to do that. 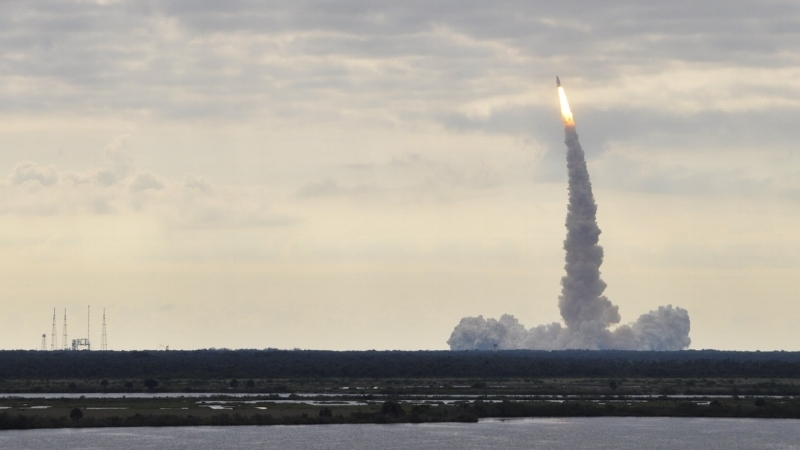 It takes about eight and a half minutes for a Space Shuttle to get into space. Unfortunately due to a low cloud bank I was only able to see about the first six seconds of that. To be sure a lot of time, effort and money went into those six seconds, but It was worth totally worth it. I will never forget the intense brightness of the exhaust plume. I will never forget the overwhelming sense of excitement and patriotism. I will never forget how I, along with the several hundred other people on the bridge couldn't help but cheer as this amazing piece of human engineering made its way towards the heavens. I will never forget that I am, and always will be, a complete and total nerd. Five years ago I had amassed enough miles on Southwest for a free flight to Florida. I also had a fortuitous break in my work schedule that allowed me the freedom to use that free flight to travel to Florida to watch the second-to-last launch of the Space Shuttle. This is something I had wanted to do since I was a nerdy little kid, and so as a nerdy middle-aged adult I was thrilled to finally be able to make that wish come true. After taking the last flight to Orlando I checked into a cheap hotel on the east side of town where I slept for a few hours until my alarm awoke me at 3am. I then drove for about 45 minutes until I reached Titusville where I claimed a spot on the Max Brewer Bridge that I had heard was a good place for non-VIPs such as myself to view launches. I then waited for about four hours until the launch itself. I had always been told that that launches are incredibly loud. Located as I was almost twelve miles away from the action, the event for me was utterly silent. The only indication that the launch sequence had started was when the clouds of steam began to boil out to either side of the launch pad. The Shuttle's three main engines actually ignite about four seconds prior to its actual liftoff. This allows them to come up to full power and to identify any issues prior to the launch (a handful of launches were aborted when the engines automatically shut down during these four seconds). This time also allows the shuttle stack to self-resolve its twang. 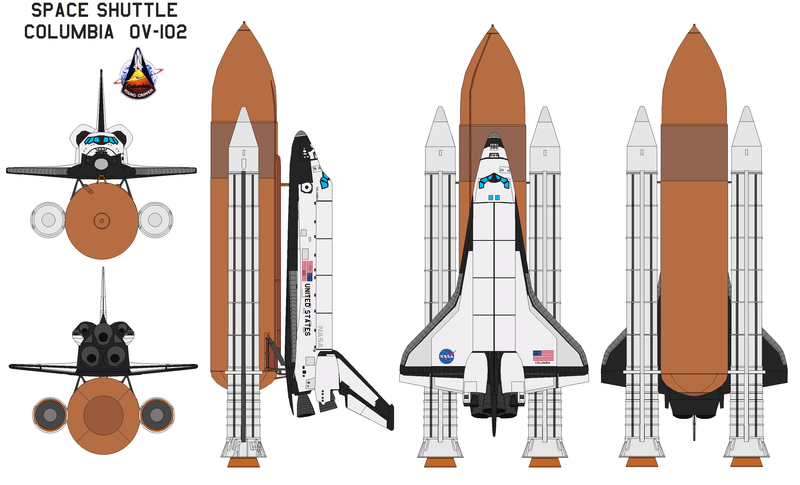 To explain what I mean by "twang" I first need to describe the general design of the shuttle. Two white Solid Rocket Boosters are strapped to either side of a single large and orange External Tank. The winged Shuttle Orbiter with it's three main engines are then attached to one side of this External Tank. This configuration creates an asymmetrical assembly which is somewhat unusual in spacecraft design. An artifact of this design - and the fact that the Main Engines start a few seconds before launch - is that the entire assembly flexes several feet in response to the asymmetrically applied thrust of the Shuttle Orbiter's main engines. It then "bounces back" to its original condition an instant before the Solid Rocket Boosters are themselves ignited and liftoff occurs. Of course from twelve miles away I could see none of this. But one thing I could see that you can't fully appreciate in video and photos of a launch is how intense the exhaust plume really is. You always see it as being a bright white flame, but that's simply because the dynamic range of video and photo equipment is limited and it simply washes out. In reality it has an intense brightness that seemed to approach that of the sun. There's also an emotional response to a launch that's difficult to describe. As soon as the shuttle lifted off I felt compelled - along with the thousands of other spectators surrounding me to cheer. We did this for absolutely no good reason - the astronauts on board the shuttle certainly couldn't hear us and the Shuttle itself was absolutely indifferent to our vocalizations. And yet the visceral response to the spectacle of the launch and the swelling of national pride I felt simply could not be contained and I let out a prolonged and triumphal, "Yeah!" That lasted for only a few seconds until the shuttle passed through a low cloud bank and completely disappeared to everyone on the ground. In that instant the crowd's collective cheers turned into a collective disappointed, "Awwww." And then everyone turned around and went home. The launch, however, continued as planned (it looked even cooler for the other side of the clouds.) and the about eight and a half minutes after the Shuttle twanged, it was in orbit about 250 miles above the earth. For all the time and expense associated with the trip, I was technically only able to watch about six seconds of the launch. But it was totally worth it.